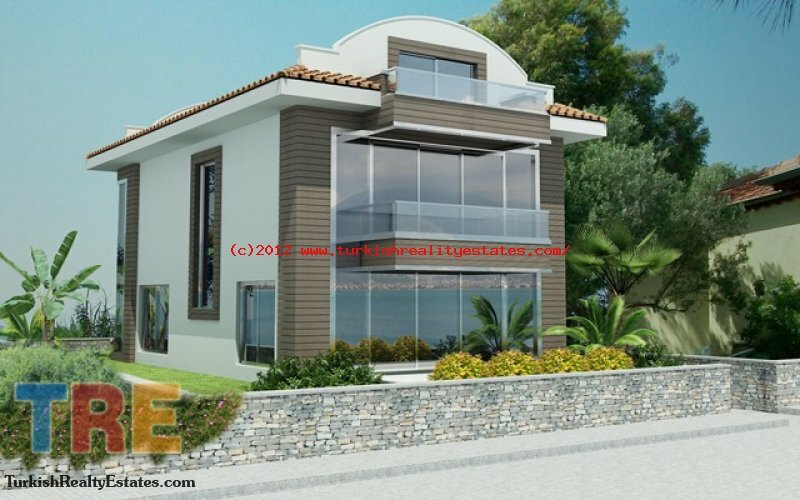 These detached villas are located in Çaliş (Chalish) Fethiye, Turkey. 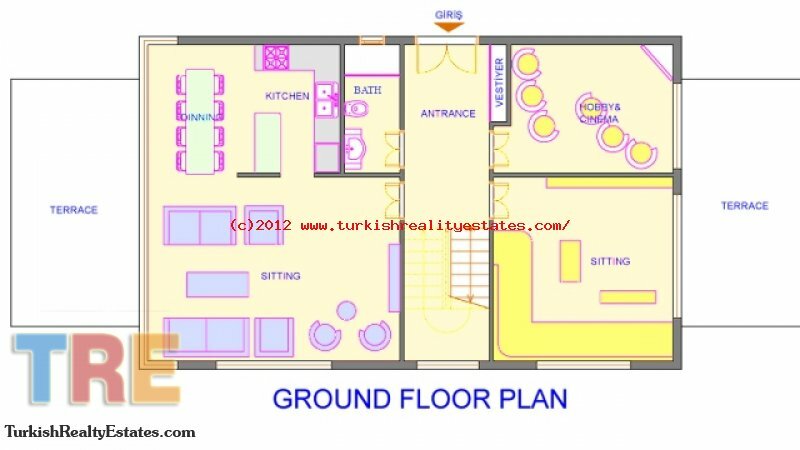 Planned villa has 248 m2 indoors area with 4 bedrooms, 3 bathrooms and sauna and jacuzzi. 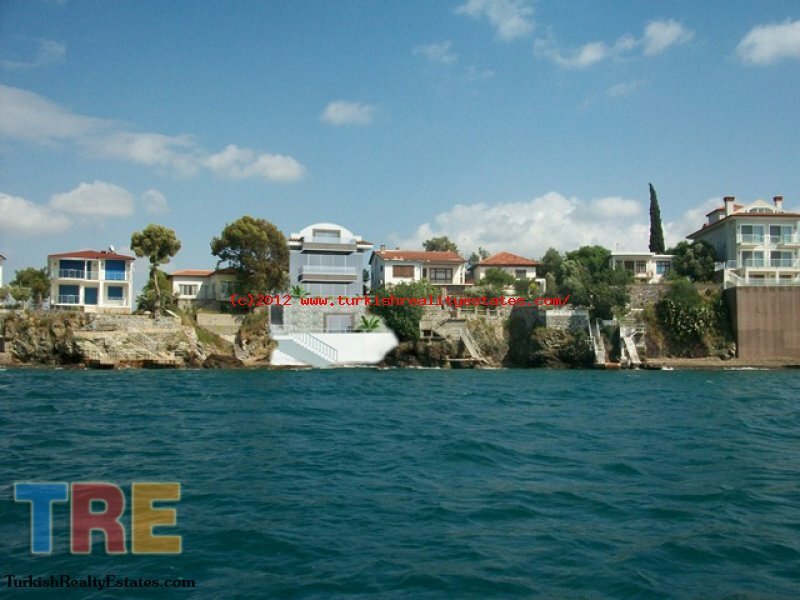 From both sides villa has charming sea view. 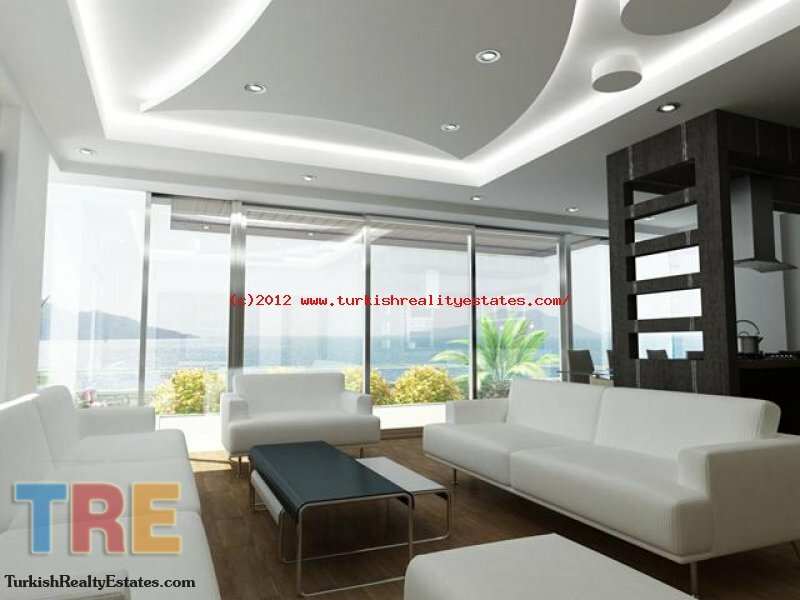 One side of the villa is looking at Fethiye bay and another side is looking to Red Island. 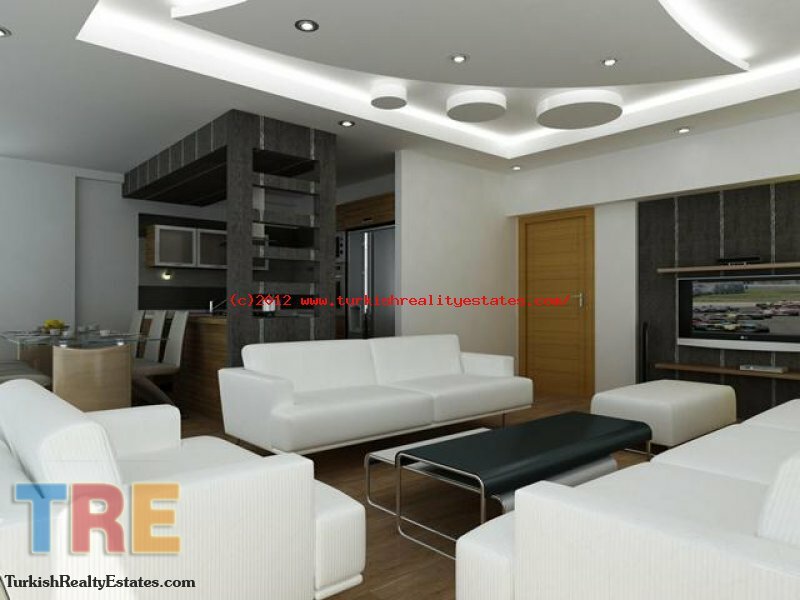 Project construction will start in September 2011 and will be completed in June 2012. 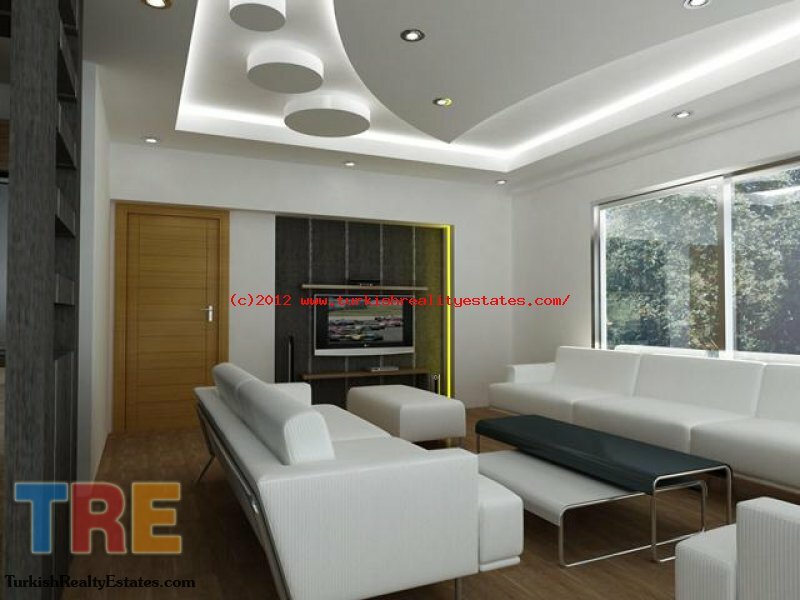 Construction quality will be listed and agreed on high standards at the beginning. 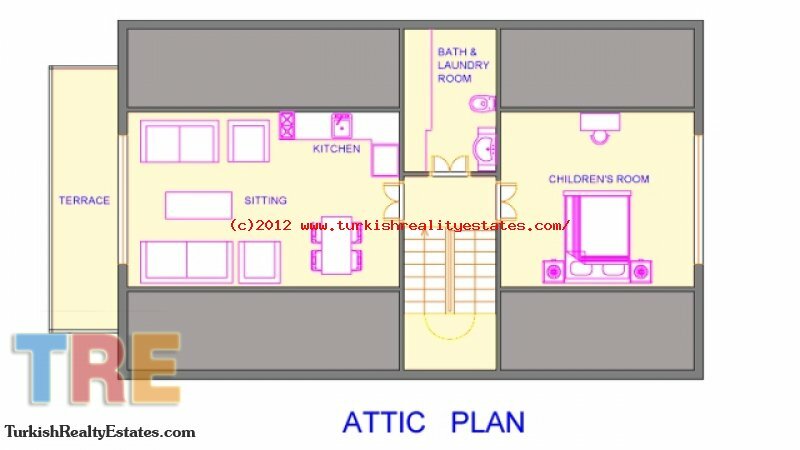 These villas include all the living standards that one needs, as well as the sun, and the sea. Fethiye harbour, with a unique sunset will attract you in itself. We offer you this chance to live with this unique natural beauty in harmony with comforts and pleasure. 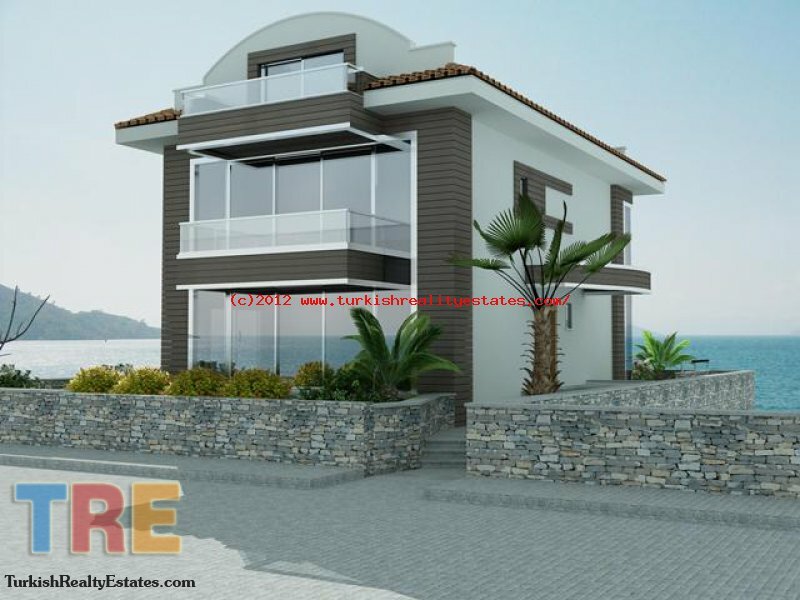 These detached villas are in a fabulous location situated in Chalish, Fethiye, overlooking Fethiye harbour; all properties have views of the sea and the town of Fethiye. 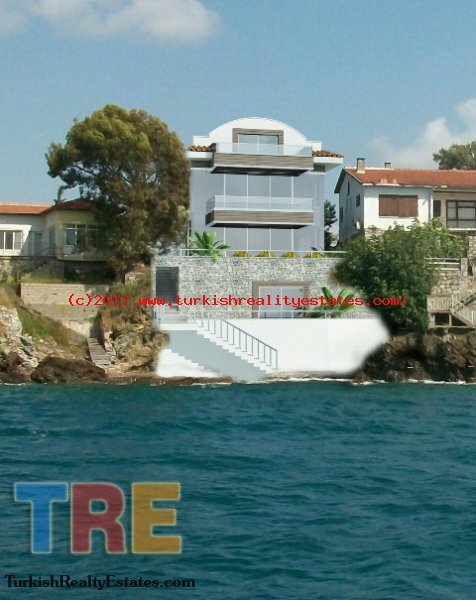 The other one for beach area.Villa will be staying in that 330 m2 plot. 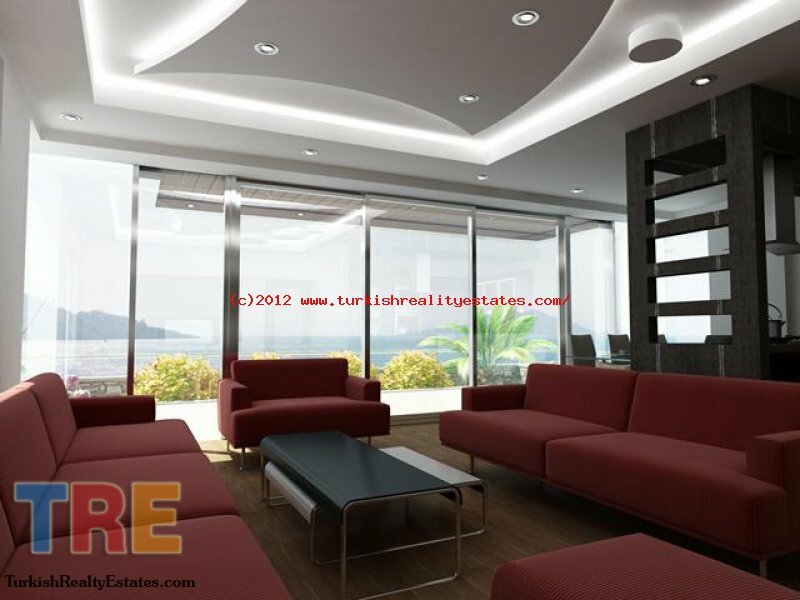 Turkish Reality Estates is your property partner in Fethiye, Dalaman, Marmaris, Datcha, Alanya, Antalya and along the Turkish coast line. 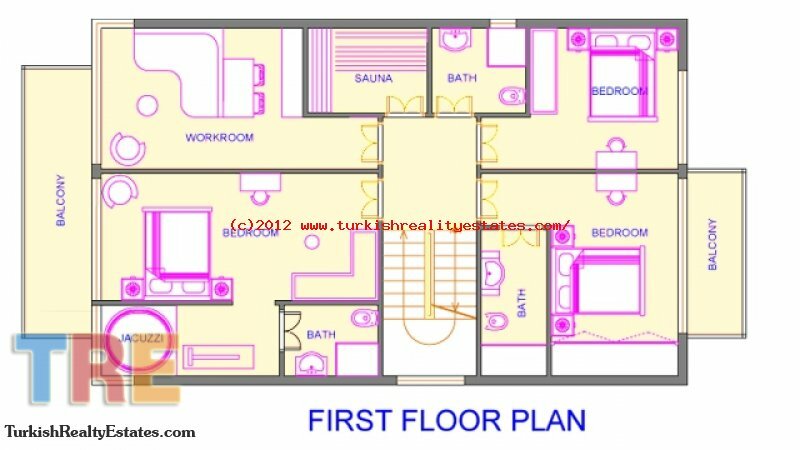 Please contact us for more information about any real estates, land or investment in Fethiye Turkey. We can help you with all the legal procedures in the buying and selling of land or property. If you would like an English speaking Turkish solicitor to work for you we can arrange that as well.